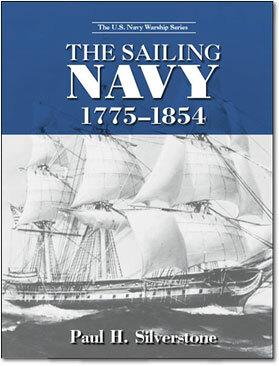 This is the first volume in a new series on U.S. Navy warships featuring a complete compilation of data on American naval ships from the American Revolution and the Quasi-War with France through U.S. actions against the Barbary coast, the War of 1812, and the Mexican War. In a convenient tabular format, important details are listed for each ship, including the often overlooked, lesser-known, and smaller vessels. Each entry provides information on size, date, location of construction, commissioning date and length of service, and the ship’s fate. Combat details include campaigns and actions fought, damages sustained, casualties, prizes taken, and ships sunk. Names used before or after naval service are provided. The ships on Lakes Champlain, Ontario and Erie are listed separately. The book also includes information on the ships of the Revenue Cutter Service and the Texas Navy as well as the first steam vessels the U.S. Navy acquired. Over 100 illustrations of the ships are also included. The fact that this single-volume reference makes such a variety of valuable information so accessible to researchers ensures its place on personal and public library bookshelves.